A couple of days ago I had the idea that I would try and watch two films and then pit them against each other. The films I chose were, 'G.I Joe Retaliation' and 'Trance'. Two very different films, yet one is being cited as a huge crowd pleaser and the second, a dark horse, an unsure bet. I wanted to see what it would be like to review two films, compare them on their merits and then decide for myself which was the better. I know what you're thinking, "really, these two, there is no competition". That is the point regardless of my opinion and in the end, my choice I want to give you guys a proper insight, free of spoilers, into these two films, giving you the knowledge to make a well informed decision, and as G.I Joe will tell you,"Knowing is half the battle". I am choosing this image for the simple reason, it is the best thing in my review. 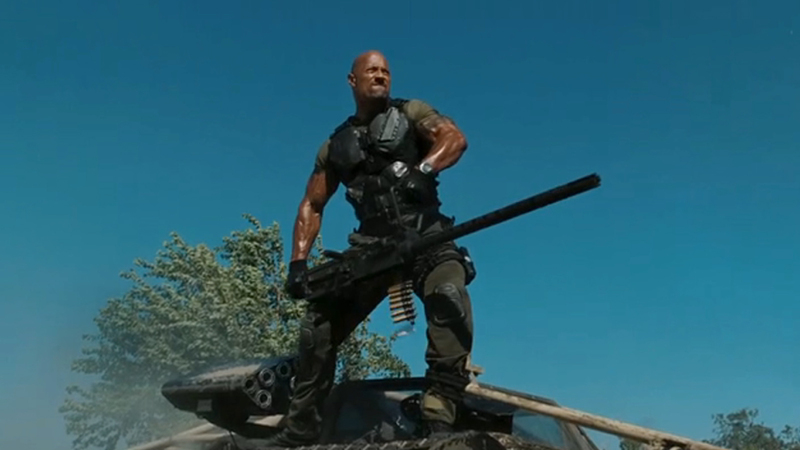 Right so, 'G.I Joe', an interesting idea. 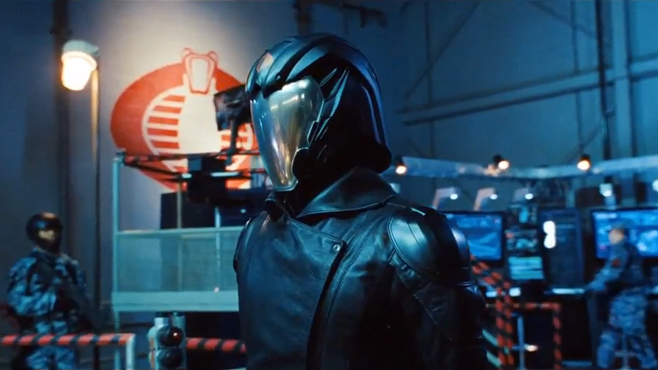 A bunch of plot shielded "soldiers" who take on a fictional terrorist organization code named 'Cobra'. Its conception was formed through 'Hasbro', the toy company. That's right, the same company behind 'Transformers'. You are probably wondering why I am talking about a toy company in a film review and you would be right to wonder, the reason? This is not a film, this is another excuse to tell the world how awesome an "American" army is. I can't remember why I went to the first one but I did, so to keep in continuity with that I decided I would go to the second film. He's not Joseph Gordon Levitt anymore, one of the best decision Joseph ever made. To explain the plot I will have to spoil the first one a little bit, so if you want to be surprised avoid reading this next bit. The president of the United States is a 'Cobra' agent. There, done, the most complex point in the film and it was set up in a previous film. The plot follows the "Joe's", some time after the events of the previous film. 'Duke'(Chaning Tatum) is now in charge of the team and he, 'Snake Eyes', played by the fantastically deadly Ray Park and 'Roadblock' played by Dwayne Johnson. Quickly the Joes world is turned topsy turvy when they are attacked mercilessly by an unknown force while simultaneously being condemned by their government. Thus begins a series of ridiculous events. These characters have the most interesting journey and it takes a backseat to , well you'll see. Ray Park,Ray Park, Ray Park. Best actor in this entire film and best thing as well. He has the best lines in the film, has the best scenes and he does all his own stunts.His interaction with every other character is absolutely fantastic. Not every scene is his however, Byung-Hun Lee who plays 'Storm Shadow' has an excellent introduction and then there is Adrianne Palicki and her red dress, superb. bad that you know what is coming for one of these characters as the movie trundles along. The dialogue is terrible and will have you laughing, not in the good way, while the acting can be ridiculously over the top and nothing ever really feels genuine. I will give you one tip that I learned from this movie and that is when your army is decimated and your on the run from government, head to "the hood" because they will always help. This alternate world has really been messed, first off France lost the eiffel tower and in this movie Europe lost England. Seriously, it happens and then fifteen minutes later when the film ends it seems to be completely forgotten about. Between a very weird,extended cameo from Bruce Willis to a villain slo-mo walk away that takes up the final ten minutes of the film. I am not kidding, clock the walk away, all he is doing is slowly walking away from the action to a helicopter, that has a huge design flaw. Let me start with saying, bad films can be fun, the evidence is there in film like 'Evil Dead 2' and 'Black Dynamite'. Films that know that their plots are outlandish and their characters ridiculous but because they don't take themselves seriously they hit on a wonderful chord that moviegoers adore.This is not one of those films. England and France are so messed up now.